In recent days, there has been much media attention regarding the Pennsylvania grand jury report on clerical abuse in that state. In response to this and other global accounts of abuse within the Church, Pope Francis has issued a letter to the faithful. It is an important communication for all, but most importantly, should be studied by bishops, priests and anyone in a position of leadership in the Church. We recognize that since the days of Judas, some of those entrusted by Our Lord with the sacred apostolic mission have turned away toward evil. To our shame, some clergy have used the gift of the holy priesthood to betray innocent young lives through abuse and control. We have seen examples of this even among bishops; a sickening display of power, lust and self-centredness. We must ensure that there is a culture of accountability for all who serve in leadership within the Church. Bishops, both in Canada and throughout the world, must model the behaviour, transparency and accountability we expect of our priests. We must lead by example, through a life centred on Jesus, to serve with integrity as shepherds, pastors and spiritual fathers. We must also regain the trust that has been broken among many who have turned away from the Church on learning of these scandals around the world, and even more among faithful practicing Catholics who are rightly enraged by incidences of abuse and the failure to deal with them. Since the late 1980s, the church in Canada has worked to provide specific measures to address abuse allegations. In the Archdiocese of Toronto, we have abided by a detailed Safe Environment Policy for almost 30 years. We screen thousands of volunteers to serve in ministry each year, conduct criminal background checks as well as extensive screening and testing for all candidates to the priesthood. We have developed and updated our Policy & Procedures for Cases of Alleged Misconduct and will continue to do so. The procedures outline how we address any allegation of misconduct by clergy or lay employees of the Church. They are available online at www.archtoronto.org/about-us/safe-environment. I encourage any victim of abuse to come forward. We have focused great care and attention on our vocations program and our Seminary. The program of formation and discernment has been deepened and lengthened so that those who are ordained are prepared well to serve us as happy, healthy and holy priests. I am grateful for the devoted service of our priests, deacons, religious, lay leaders and parishioners who so truly reflect Christ's love. I encourage those who minister so faithfully in our parishes and beyond to continue their good work and example. 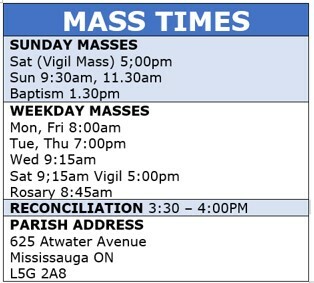 Over the next two weekends, at all Masses in the Archdiocese of Toronto, we will pray for victims of abuse, especially those betrayed by the Church and other institutions. This is a time for new life and renewal throughout the Church. The scandal is not that evil is revealed, painful as that is; the real scandal is when evil festers in the darkness. Once in the open, evil can be rooted out. That must happen. Then new life can begin, the life of joyful holiness to which Jesus invites us all.